Last week we covered an alarming new trend regarding e-cigarette use among young people, known as “dripping.” We felt it important to keep the conversation about e-cigs going, considering the device's growing popularity among young people. Smoking cigarettes has long been associated with a form of stress release, much like having a beer at the end of long day. Who hasn’t known someone who, when stressed out, said aloud, “I need a cigarette.” People don't just smoke when they are stressed. They smoke to alleviate anxiety and depression, as well. Some even smoke to quell their appetite, at times. Such behaviors are often what addiction is built upon, associating a specific action with relief. In the field of addiction medicine, it is quite common for patients who report their addiction being the result of self-medicating untreated mental illness, such as depression or bipolar disorder. Such instances are referred to as co-occurring disorders. When mental illness is left untreated, people will often look to potentially dangerous remedies, like drugs and alcohol. But let’s get back to nicotine for the time being. In recent years, there has been a heated conversation about electronic cigarettes, specifically with regard to the benefits over traditional tobacco products and the potential health risks. It is fair to say that at the end of the day researchers (in most cases) do not yet have definitive answers regarding the pros and cons of e-cigarette use. 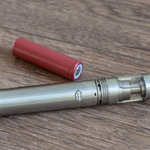 While most will agree that e-cigs are likely a safer alternative to other methods of nicotine delivery, yet there is widespread concern in the health community about the impact of the vapor devices on young people. Concerns have also been put forth of late regarding mental health and e-cigarette use. A study conducted by researchers at The University of Texas Health Science Center at Houston (UTHealth) showed a link between depression and initiation of e-cigarette use among college students, according to a UT press release. The findings were published in Nicotine & Tobacco Research. While the researchers could not find evidence that e-cigarette use leads to elevated symptoms of depression, the study showed that college students who had had elevated levels of depressive symptoms were at a much greater risk of starting to use e-cigs, the article reports. The relationship was surprising to the researchers because the same could not be said for the relationship between depressive symptoms and traditional cigarette initiation. "We don't know why depression leads to e-cigarette use. It may be self-medication. Just like with cigarettes, when students feel stressed out, using e-cigarettes may make them feel better. Or it could be that since e-cigarettes have been marketed as a smoking cessation device, depressed students may be using e-cigarettes to help them quit smoking traditional cigarettes," said lead author Frank Bandiera, Ph.D., assistant professor in the Department of Epidemiology, Human Genetics and Environmental Sciences at UTHealth School of Public Health in Dallas. The study was the first of its kind to establish a longitudinal relationship between the depression and e-cigarettes, according to the article. Further research will be needed to determine what the relationship means.